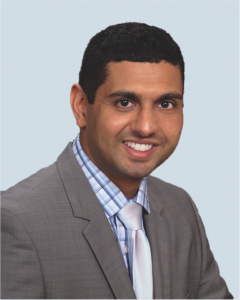 Dr. Anup Vora is a urologist at Chesapeake Urology Associates in Maryland. He followed his father’s footsteps when he pursued medicine as a career and he loves having a positive impact in the lives of his patients. Read through the questions and answers below to learn more about Dr. Anup Vora. What to read his complete bio? You can find it here. Medicine has been a part of my life since my childhood. My father is a physician and seeing his passion for his patients, day in and day out, inspired and motivated me to pursue medicine. Urology is a special field. I can treat patients, young and old. I can treat patient medically and surgically. The field embraces new technologies and is on the forefront the most advanced techniques to treat disease. It truly is a joy and my privilege to practice Urology. The impact that I have on the patient and their family is the most rewarding aspect of being a doctor. Knowing that I can help someone’s life in even a small way, is worth the sacrifice and worth the long hours and long training to become a doctor. I first learned of HIFU when I was a urology trainee. As I advanced in my career, I knew it was something I wanted to be a part of because of the advantages it provides to patients. Once HIFU became FDA approved, we knew we wanted to bring it to our practice. After doing our due diligence, we found an excellent partner in HPS and have been able to bring this technology to our patients. Prostate cancer can be devastating to patients and their families. We felt that it was important to provide ALL therapeutic options to our patients and we wanted to offer this minimally invasive treatment to our region. This is a very difficult discussion, as no one wants to hear they have cancer. But it is an important conversation to have and I tell patients who have been diagnosed early, that they have an excellent chance to beat the disease. I offer active surveillance, cryotherapy, robotic prostatectomy, brachytherapy and HIFU prostate ablation. HIFU allows for treatment of the cancer with a significantly lower risk of unwanted side effects, such as erectile dysfunction and urinary incontinence. It depends on many factors, such as prostate size and degree of cancer. Ultimately, I try to align the patient’s wishes with the characteristics of their anatomy and cancer. The recovery is quite quick. Patient’s feel well very soon after the procedure and after a short period with a urinary catheter, they can return to completely normal activities. HIFU is best for patient with low volume cancer who desire therapy but want to minimize the side effects of treatment. I agree and follow the AUA Guidelines and recommend prostate cancer screening for my patients. Prostate cancer remains the second leading cause of cancer related death for men in the United States. We should not minimize its risk, in my opinion. My family is everything to me. I have a beautiful wife and soon to be two children. We enjoy cooking, visiting new places and football. Learn more about Dr. Anup Vora and Chesapeake Urology here or read additional HIFU Physician spotlights here! Dr. Vora offers HIFU to men at Summit Ambulatory Surgical Center – Maple Lawn. You can learn more about the facility here.